While you may love a good wedding, your makeup doesn't seem to. When summer wedding season comes around, you can opt for makeup that will have you prepared for anything. Beach weddings are such a good idea in theory. But in practice, the heat and humidity don't make for the world's best photo ops. Show you're a cool cucumber by planning ahead. First things first, the less-is-more approach really applies here. Overloading your face just leaves more to sweat off -- and that's not pretty. Instead, think light and airy. Start with a light sunscreen with a sun protection factor (SPF) of at least 15. You could try a tinted moisturizer/sunscreen combo, such as Dermalogica's Sheer Tint Moisture that has SPF 15. It blends beautifully, so you don't have to put on a separate moisturizer. If your skin is a slightly oily, Mary Kay's Tinted Moisturizer has an SPF of 20 and seems to soak in oil effectively. You also can slip a few blotting papers in your clutch -- Clean & Clear's Oil Absorbing Sheets are perfect for soaking up grease at the beach. Powder eyeshadows don't stay powdery for long at the beach. Instead, they collect at the crease of your eyelids, which doesn't flatter. Instead, switch it up to cream eyeshadows and blushes. These are better suited for beachy conditions, particularly those labeled "long-wearing." Make Up For Ever lives up to its reputation in this instance, especially the Ever Aqua Cream Eyeshadow. The shadow comes in lots of colors, but I like to keep things neutral and ethereal for a wedding, such as warm brown shimmer, light lilac shimmer and/or soft copper shimmer. Accentuate the eyes with a liquid eyeliner as it will stand up better to the heat and humidity. Pull your eyelid taught and away from your nose as you start at the outer corner and line toward the inner portion of your eye, staying as close to your lash line as possible. Whether you're attending the wedding of a loved one or just a crier by nature, attending a wedding where waterworks are likely means it's time to invest in some waterproof makeup. This makeup variety doesn't just extend to mascara. You can also find waterproof foundation, eyeshadows and eyeliner that won't streak as your eyes get teary or your nose becomes runny. 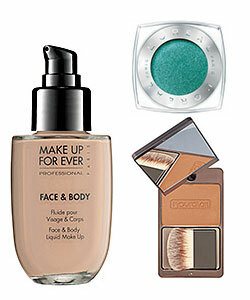 Create a flawless base with Make Up For Ever's Face & Body Liquid Makeup. You can apply this formula to your body as well, which makes it ideal for soothing any redness around your décolletage if you are wearing a strapless summer dress. The key is waiting three to five minutes to allow the makeup to fully set and lightly dabbing a piece of toilet paper or cotton ball over the area to remove any excess before slipping on your dress. L'Oreal's Infallible 24 HR Eye Shadow is a waterproof favorite that comes in a variety of beautiful colors, from deep blue to golden beige. I tend to gravitate toward the glittery shadows such as Amber Rush or Bottomless Java, but Sultry Smoke could also be a good choice for summer weddings. Brush on Hourglass Superficial Waterproof Bronzer, whose oil-free formula will protect your skin from breakouts while fending off your waterworks. Finish by applying two coats of the ultimate mascara: L'Oreal's Voluminous in the waterproof formulation. Attending a wedding that's sure to last until the break of dawn? You'll need some long-wearing makeup that looks just as beautiful at 2 a.m. as it did 12 hours earlier. Drugstore brand Rimmel makes a long-wearing, mineral-enhanced foundation called "Lasting Finish 16HR Foundation". Besides having 10 shades to choose from, the makeup also stays on your face, not your date's suit when you lean in for slow dances. MAC eyeshadows are notoriously long-wearing with beautifully pigmented colors. 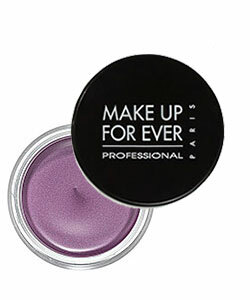 The Pro Longwear eye shadow is the ideal type for wedding wear. A fun wedding is the time to break out a fun color, such as the stony blue Styledriven or the bold pink called Tease With Ease. Long-wearing lipstick is a must too -- glosses likely won't do the trick. Maybelline New York's Superstay 24 Color is designed to last all day and comes in 30 shades. While all those options can make choosing tricky, I like the pleasant pink of Timeless Toffee or the glamorous neutral Constant Toast.